When painting your home you are not only making it look great, you are also protecting your investment by preventing wood rot and moisture intrusion, which over time can be very detrimental to your home. 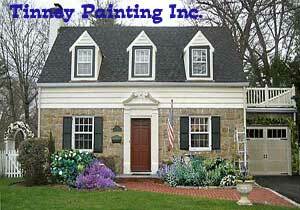 We offer an array of exterior painting services to include siding, trim, brick, decks and railings. Just remember, if it has been painted before chances are we can do it again. Please give us a call today or fill out the form below so that we may assist you with your painting needs.